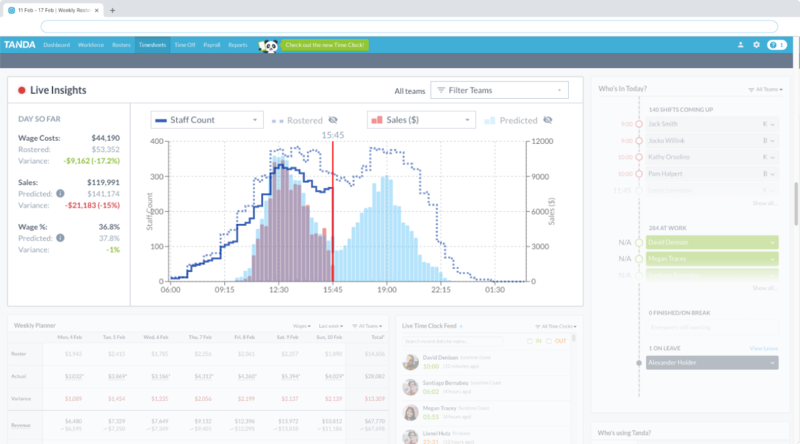 Elevate your workforce to the next generation of Workforce Management by leveraging your existing data to forecast, build, and manage optimised rosters in seconds with the latest AI. Organisations are working at an accelerated pace. Business leaders need to make smarter decisions faster and employees expect better performance from their workplace tools. Powerful technology is now necessary to support large workforces not just to keep up, but stride ahead of the competition. Modern workforce management tools should empower managers and enhance the employee experience through scalability and flexibility. Tanda’s Smart Services offer the latest in AI workforce optimisation technologies right out of the box. Our tools are proven to drive business revenue, decrease labour overspend, and reduce the difficulty of managing a large workforce. See how Tanda’s Smart Services can accelerate the way you manage your people. While Tanda delivers automated rostering, live demand and attendance reporting is just as important. Live Insights™ delivers KPIs and notifications to your front-line managers. This ensures targets are met and that every labour plan turns into reality. Live Insights™ by Tanda is the key to ensuring operational efficiency and meeting compliance requirements in real-time. By pulling data from other integrated systems, Tanda uses volume-forecasting to build and fill rosters in seconds with best fit staff. Cognitive Rostering™ takes into account staff qualifications, availability, fatigue, and 7 other critical data points to ensure you’re rostering the right people for the right hours. Ensure efficient, ergonomic, and compliant rostering practice with Cognitive Rostering™ by Tanda. Track employee engagement and receive timely feedback from your employees. Sourcing feedback in a timely manner allows organisations to quickly respond to changes in workforce needs. 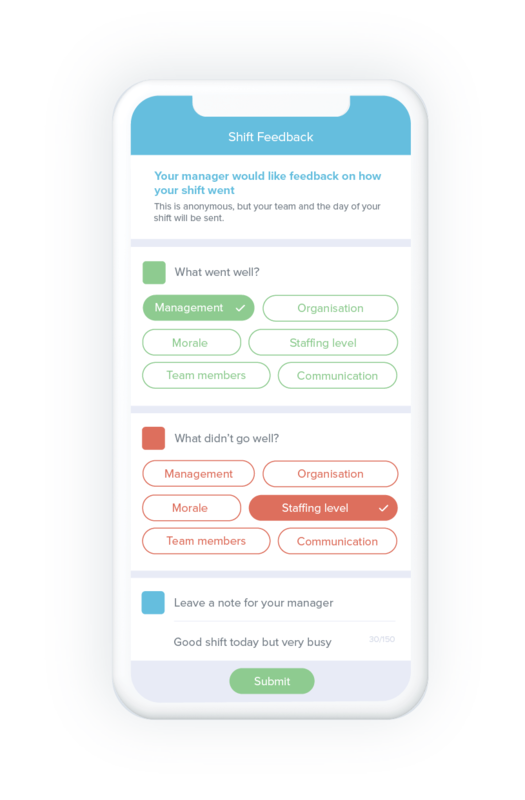 Workforce Feedback™ is a tool to strengthen employee engagement and gather more data from the front line. Our SaaS model means you only go through one change management process. Transition to Tanda seamlessly with a highly experienced and flexible implementation team. Ensure compliance across large and organisations with total confidence. With a dedicated compliance team and the market-leading award interpretation system, Tanda mandates compliance with ease. Go through only one change management process all throughout your time with Tanda. Transition seamlessly with an experienced and flexible implementation team. Frontline staff are the face of every business. Without the proper workforce management technology, managing your employees can become a tedious and time-consuming process. In this Tanda ebook, we take you through the reasons why you should invest in a good software that can help your staff, salespeople, cashiers, customer support, and other frontline workers perform to the best of their abilities.